Background: The Women’s Health Initiative [WHI] Hormone Replacement Trials [HRT] are the two largest randomized placebo-controlled studies in the history of HRT research. Their randomized nature secures more accuracy than past observational studies. Objective: To highlight important gains and weaknesses of the WHI HRT trials, reviewing both the data and their interpretation. Results: The WHI HRT trial 2 showed unexpectedly a reduction of breast cancer rates [i.e., 21–43 % rate reduction], with more significance among low-risk participants, i.e., women without a past history of benign breast disease and/or no family history of breast cancer [32–43 % rate reduction]. Also, participants aged 50–59 had a significant estrogen-associated reduction of myocardial infarctions [40 % rate reduction] and of all-cause mortality [22 % rate reduction], in addition to reduced skeletal fractures, and quality of life [QOL] benefits. Outlined are also outcome differences between the two WHI HRT trials [better cost/benefit ratio in WHI HRT trial 2 vs. 1], with a possibility of confounding due to effects of Provera, and/or due to the more massive participant unblinding in trial 1. 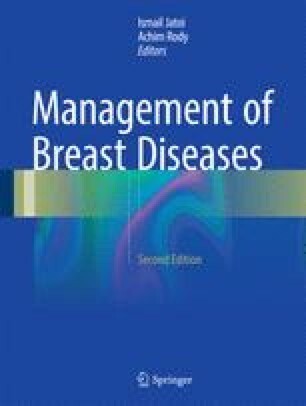 Discussion and Conclusion: Despite these level 1 evidence gains, most clinicians including oncologists, are not fully aware of the details of these estrogen-associated effects in the general population, yet the estrogen-associated improved breast cancer outcomes constitute a paradigm shift of a hormone associated for over a century with an established increase in breast carcinogenesis. The discussed cardiac, and the all-cause mortality gains, open the door yet again to the highly disputed potential of estrogen-based HRT towards primary prevention of multiple health outcomes affecting the process of aging.